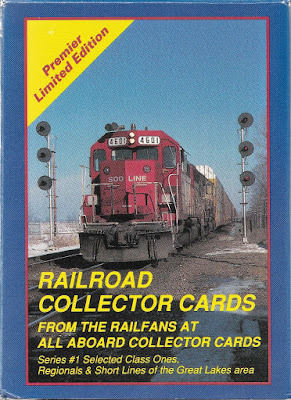 Thanks to another eBay purchase I now have the second set of All Aboard railroad collector cards from back in the early 90's. These just arrived yesterday and this set is a great follow up to the first one. This appears to be the last of these sets so it might be a while before my two main hobbies can cross paths like this again. Same as with the first set, I bought two sealed copies and opened one of them. These are also limited to 10,000 total sets, I have #1256 and #1272. The pair set me back around $8 so not a bad deal considering there were some sellers asking a lot more than that. The cards in this set are again all horizontal with a simple design that focuses on the actual photos of the trains. This set has 50 cards instead of the 46 that were in series 1. Not sure why they would have changed that, but I'll take it. Since this set focuses on the northeast, none of my favorite railroads were focused here so I'm just going to show off some cards by picking the best looking photos. The first one features an awesome bridge shot of six Central Vermont GP9's near Claremont, NH. Here is a look at one of the card backs. Just like series one, each card has a short write up about the photo on the front. In this case, the border design is carried over from the front of the card giving it a simple look. The ghosted image is the same for all cards. 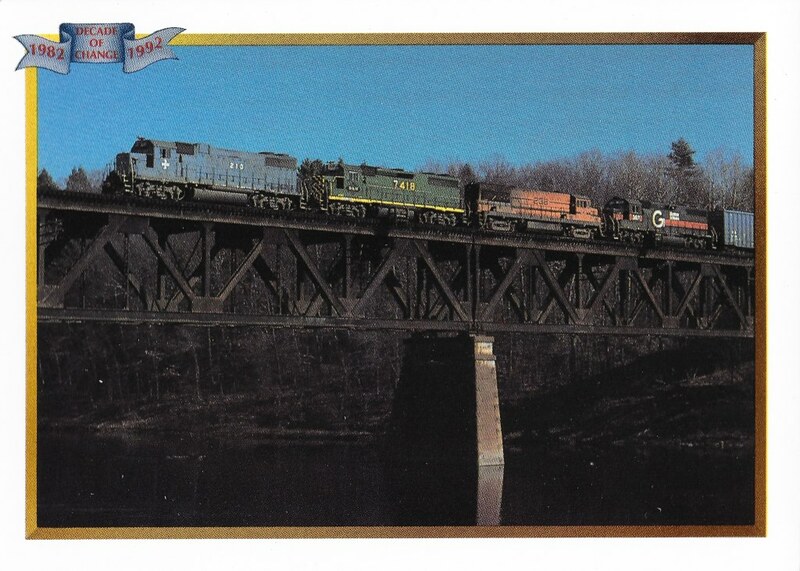 Back to the fronts, we have another great bridge shot, this time with four Grant Trunk locomotives pulling a mixed freight train through Hartford, VT.
Up next is yet another bridge shot, I guess I really like these. This Boston & Main train features an interesting consist of locomotives, all of which happen to be different colors. Here we have another Boston & Main train, just not on a bridge. 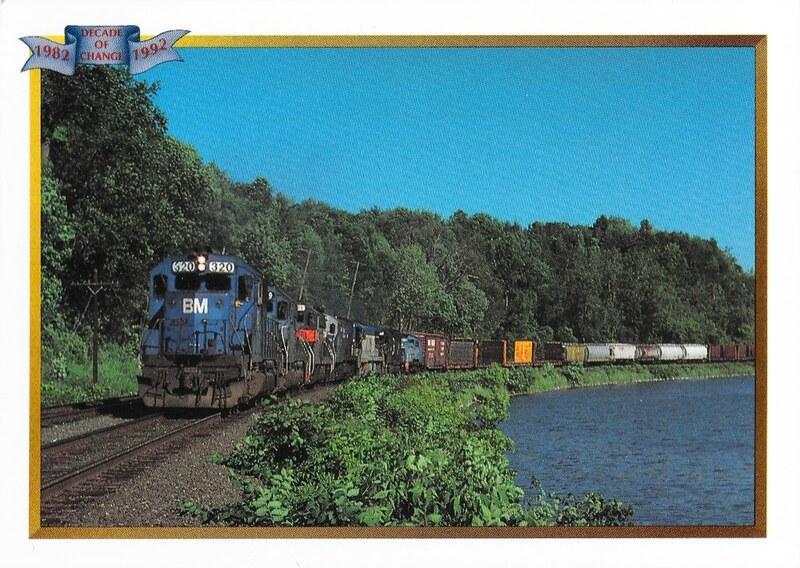 This is a great shot of another mixed freight being led by an interesting consist of locomotives. I like that there really isn't anything but nature in the background of this shot. Finally, we have this one featuring the Bangor & Aroostook railroad and their sharp red, grey and black paint scheme. 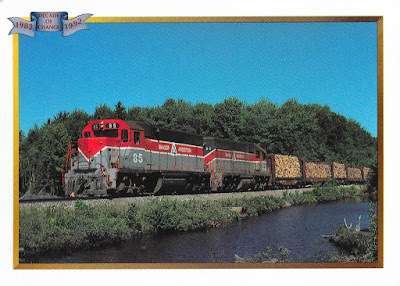 This train is bringing pulpwood to a paper mill in East Millinocket, ME. This is another one with a great blue sky in the background. So that's it for my latest non-hockey purchase. 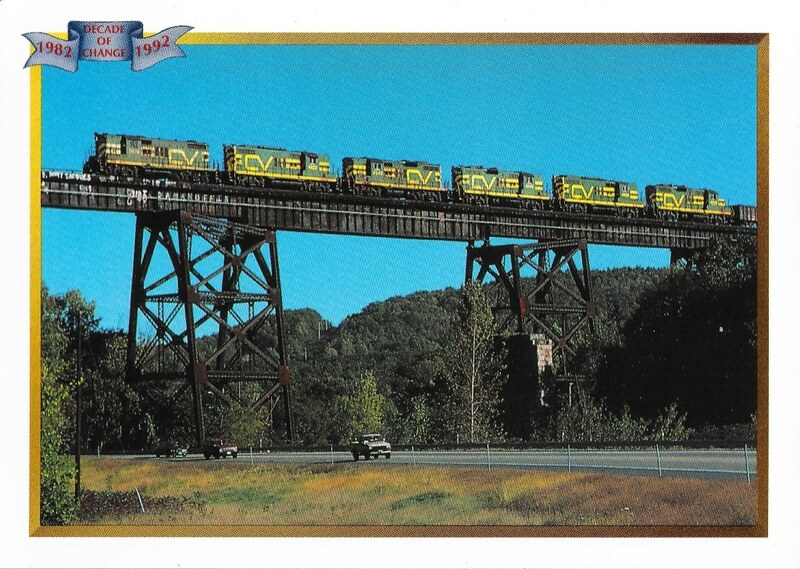 I really like these cards and wish there were more sets like this for the trains of today. I'm not sure if there is anything like this today, anyone seen anything recently? I could always come up with my own custom set too. In my never ending quest for Red Wings cards, I was lucky enough to get quite a few from Chris at The Collector as part of our recent 50/50 trade. There was a nice mix of recent Red Wings and I've decided to show them all off here in one post. 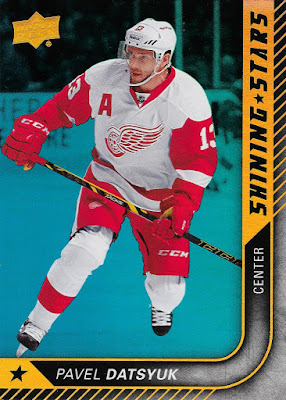 The best of the bunch was this Pavel Datsyuk Shining Stars from 2015-16 Upper Deck. Looking at COMC, this appears to to be the Royal Blue version. I didn't even know there were different versions of these things. This is definitely the nicer looking version. Up next is a run of 2013-14 Score cards. 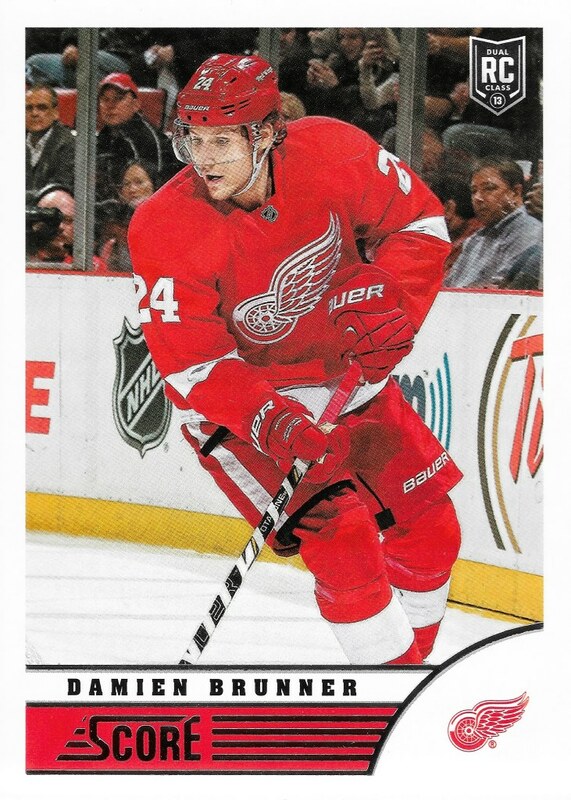 The first one features Damien Brunner. I really like watching him play for the Wings and will always remember the OT goal he scored against the Ducks during Game 4 of the 2013 playoffs. Here is a link to the replay. 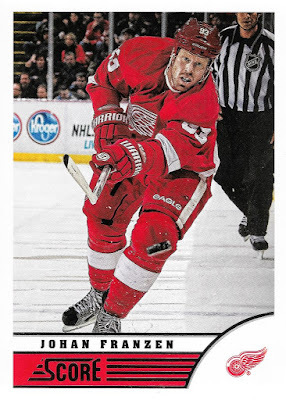 Then there was this one featuring Johan Franzen. 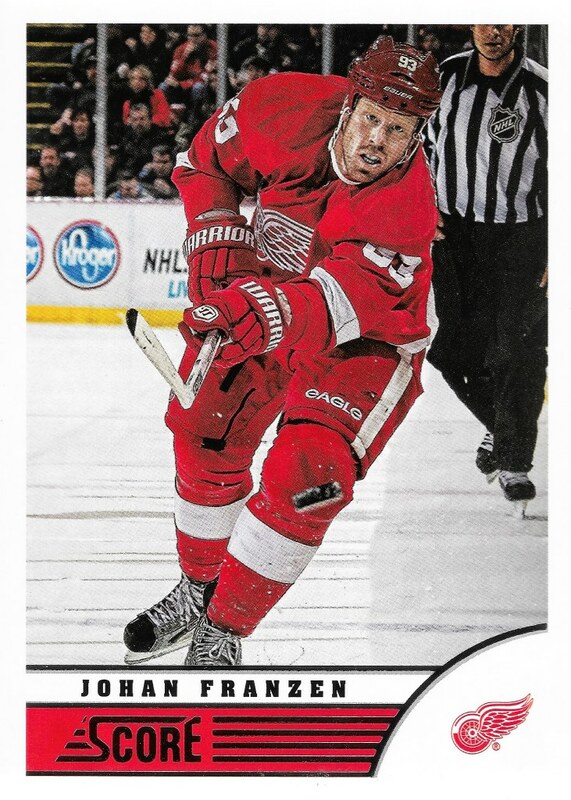 This has a great action shot of Franzen shooting the puck right toward the camera. 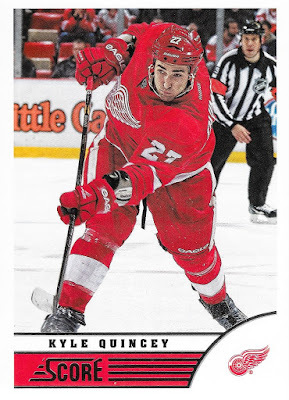 Continuing the trend of home jerseys, this one features Kyle Quincey during his second stint with the Red Wings. They originally drafted him, but he spent some time with the Kings and Avalanche before returning to Detroit in 2012. 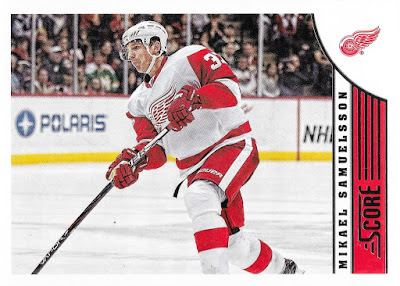 Here is one featuring Mikael Samuelsson. I will always remember him for scoring the first goal of the 2008 Stanley Cup Final against the Penguins with a sweet wrap around. 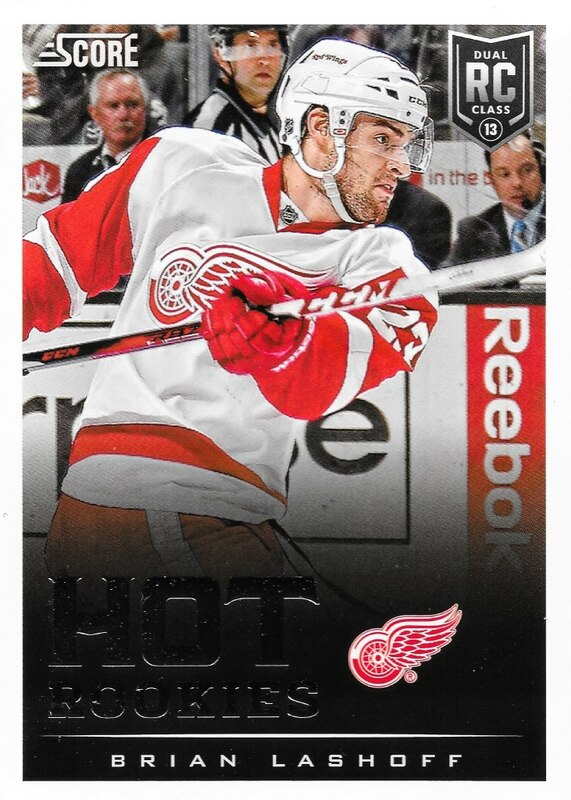 The last of the regular Score cards is this Hot Rookies card featuring defenseman Brian Lashoff. 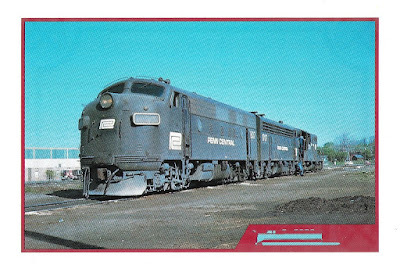 He was part of the dual RC class as evident by the logo in the upper right corner. In addition to the Score base cards, there were a few gold parallels included. The first was this one featuring Justin Abdelkader. You can also see just a tiny bit of Jimmy Howard in the background. I've seen some others turn that into a project in itself for their main guys. 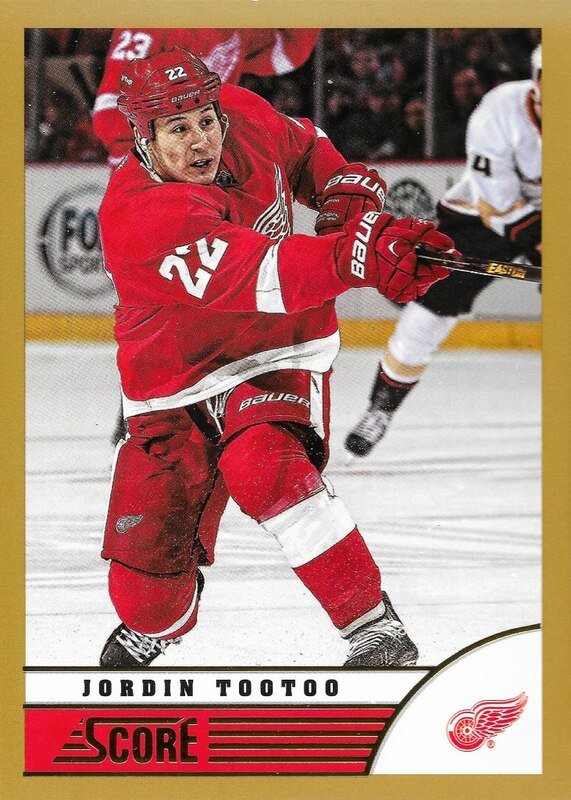 Jordin Tootoo is another player that was a lot of fun to watch while he was with the Red Wings. He may not have been the most talented, but he added some grit to the team and that is never a bad thing. It's also nice that he was able to wear the #22 in Detroit. The last of the golds is this one featuring Brendan Smith. It is another nice horizontal image and would look even better if the referee hadn't been in the background. Finally we have this Kris Draper from 2008-09 O-Pee-Chee Chrome. This is a great looking card in person and does not scan all that well. I don't have many Wings cards from this set, so it was nice to get one as part of this package. That's it for the 50/50 trade. I love that I was able to stretch it out to four separate posts on here. For just a few bucks in postage and a stack of cards that I didn't even need I was able to get some great stuff for my collection and have some fun writing about it. 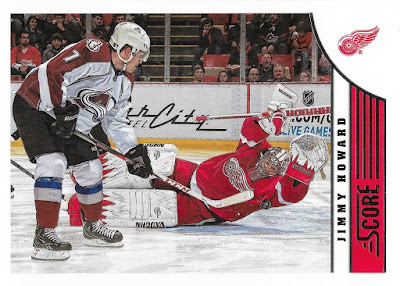 In addition to the one Jimmy Howard card, I got three new cards for my growing Dominik Hasek collection from Chris at The Collector as part of our recent 50/50 trade. My favorite of the bunch was this one from 2000-01 Topps Stadium Club. It is card #12 in the set and has an awesome overhead shot of Hasek in his black Sabres jersey. 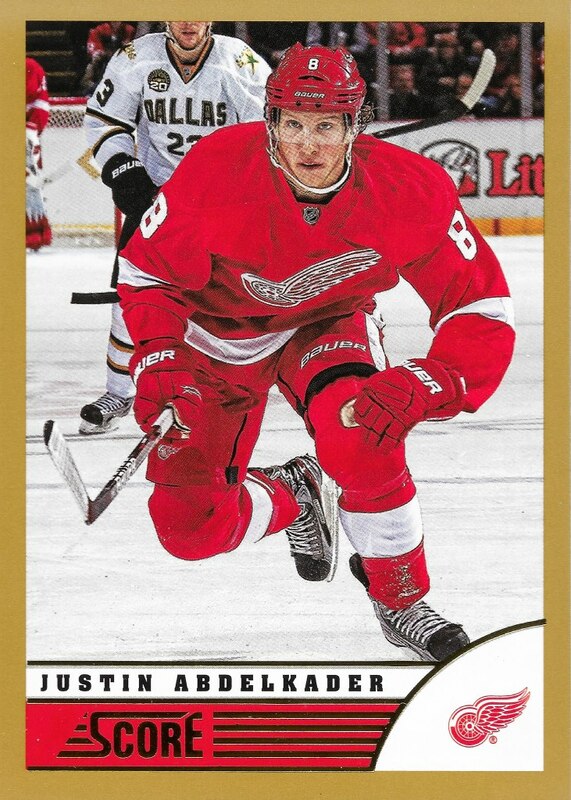 Other than his Red Wings jersey, this is the one I associate with him the most because it was around that time that he became my favorite player when I was a kid. 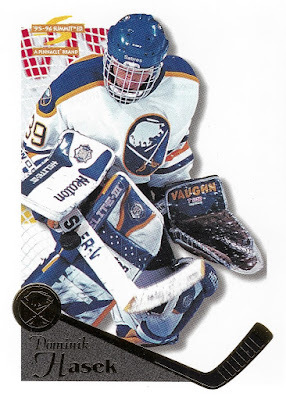 The next one is a bit older and shows Hasek in the older Sabres jersey. 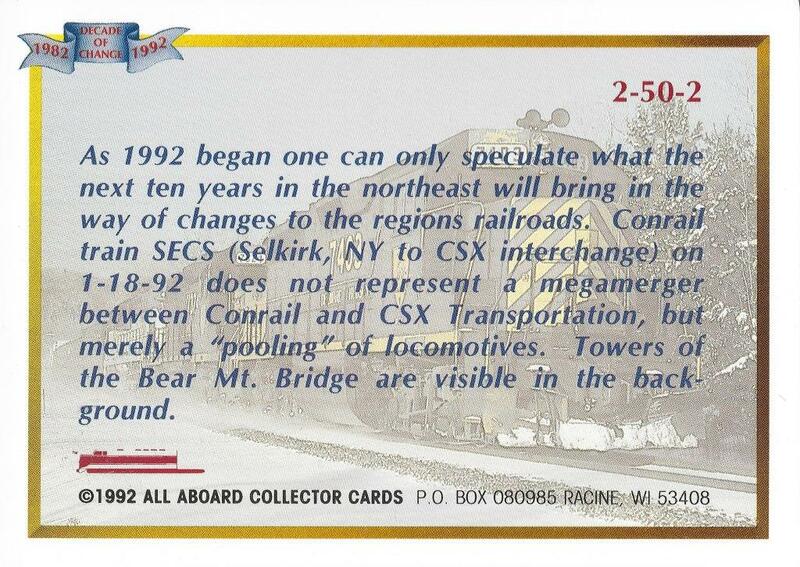 This card is from 1995-96 Pinnacle Summit, which is nicely pointed out in the upper left corner. 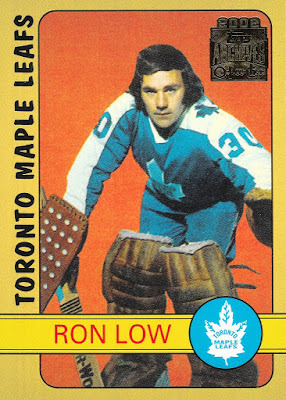 One thing I like about this card is how the background is cropped out, but only on the right side. The last one is this Skilled Stars insert from 2000-01 Upper Deck. We're back to the black sabers jersey here and this card definitely looks better in person than in the scan. The border on the left fading to red does make his block look a little funny, doesn't it? So that's three cool new cards for my Hasek collection. I'm not even sure how many I have at this point, so I really need to get on that and come up with a count. Same goes for my other player collections. I also need to work on getting all of my Hasek base and insert cards into a binder so they are easier to look at and organize. Its been a long time since I've done any trading so it was nice to get in on some of the 50/50 trading action courtesy of Chris over at The Collector. I sent some of my unwanted Devils cards and a few other things in exchange for a mystery hockey lot. This sounded like a great idea and its fun not knowing what to expect in the bubble mailer when it arrives. When I did finally open the package there was all kinds of great stuff inside. 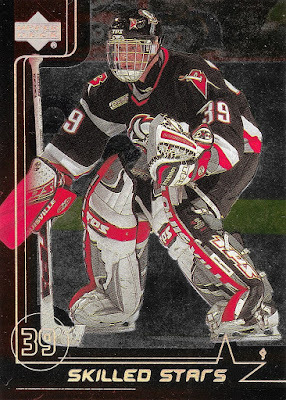 There were plenty of cards for my Hasek and Red Wings collections along with a nice mix from various years and sets. I've decided to pick a few of my new additions and show them off here. 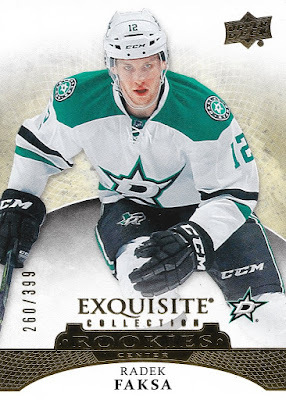 My favorite of the non-PC cards was this Radek Faska from 2015-16 Upper Deck Exquisite Collection. It is a super thick base card serial numbered 260/399. This one from 2002 Topps Archives featuring former Maple Leafs goaltender Ron Low really stuck out when I was sorting through the stacks of cards I received. I don't have many cards like this so it was neat to be able to add it to my collection. 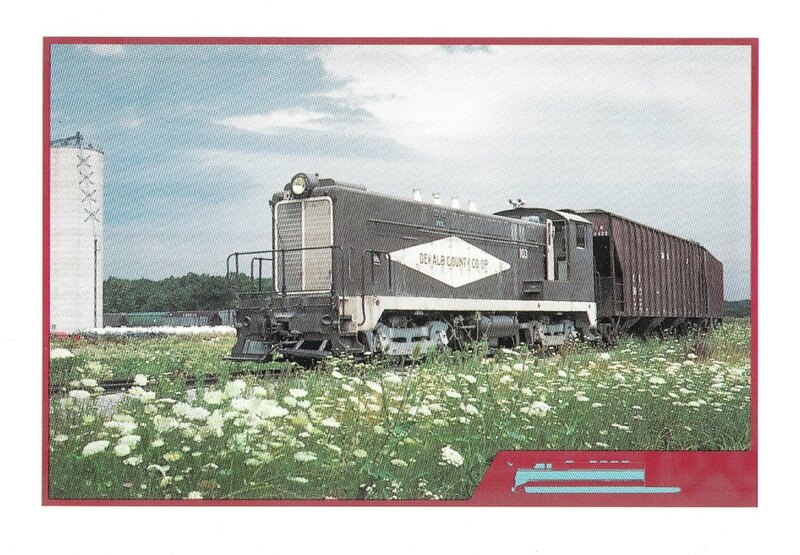 Up next is a card that stuck out because of the photograph on the front. This David Backes from 2013-14 Score has an awesome shot of him skating at Joe Louis Arena. Its a great low angle shot and the ice spray just makes it that much cooler. 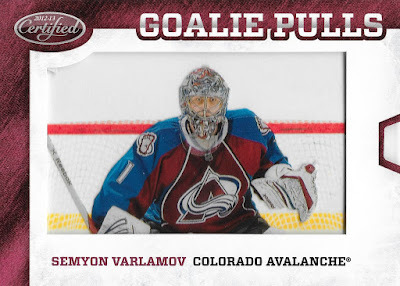 Another entry from Panini, this time it is a Goalie Pulls card of Semyon Varlamov from 2012-13 Certified. These are neat because you can actually pull out the photo area of the card using the tab on the right side. I have one for my Jimmy Howard collection too. 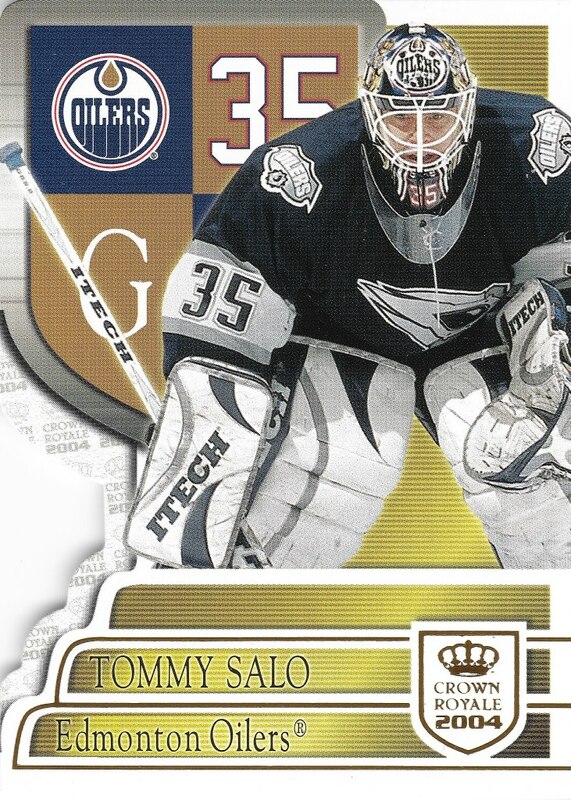 Finally, we have this Tommy Salo from 2003-04 Pacific Crown Royale. This was one of the few Crown Royale sets not actually cut into the shape of a crown. It is die cut around the shield on the left and along the stepped sections at the bottom. I chose this one because I really liked the primary logo on those old Oilers third jerseys. This was just the random stuff that didn't fit into any of my specific projects. It's always fun to show off some oddball things like this. As I mentioned, there is still more to show for my PC projects and I've got separate posts lined up for those. Thanks for the trade Chris! Now that I've been back at the whole card collecting thing for a little while, I've decided to start another side project to go along with my recent interest in the Nashville Predators. It was during the first round of the 2017 Stanley Cup Playoffs that I started watching their games and they immediately became my favorite team at the time. The Red Wings had missed the playoffs for the first time in forever, so I needed someone to root for and Nashville was a perfect fit. I love country music and have enjoyed every trip I've made to the city of Nashville. Plus they had one of my favorite jerseys and overall looks last season with the gold helmets for home games. Previously they wore navy helmets and the season before they started wearing the gold ones on select nights. 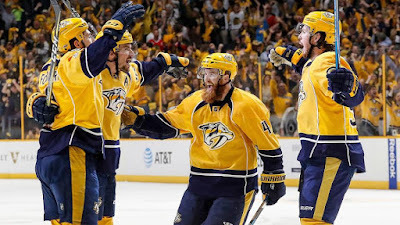 As far as entertainment value, watching all of their home playoff games at Bridgestone arena last season was the most fun I've had watching hockey since the Red Wings made it all the way to the Stanley Cup Final back in 2009. Hopefully they get back there again soon. 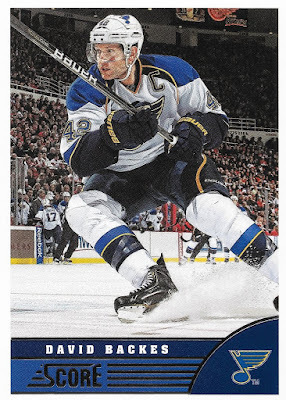 Now as far as this goes in terms of collecting, I want to focus on cards that show players in the home uniforms from the 2016-17 regular season and playoffs. The easy part is this eliminates any cards that feature the old navy helmets. The hard part is eliminating the cards that happen to feature the gold helmets from 2015-16 when they were worn on Saturday's. Luckily, Nashville hosted the All-Star game that year so the patch is a good way to differentiate photos from the two different seasons. 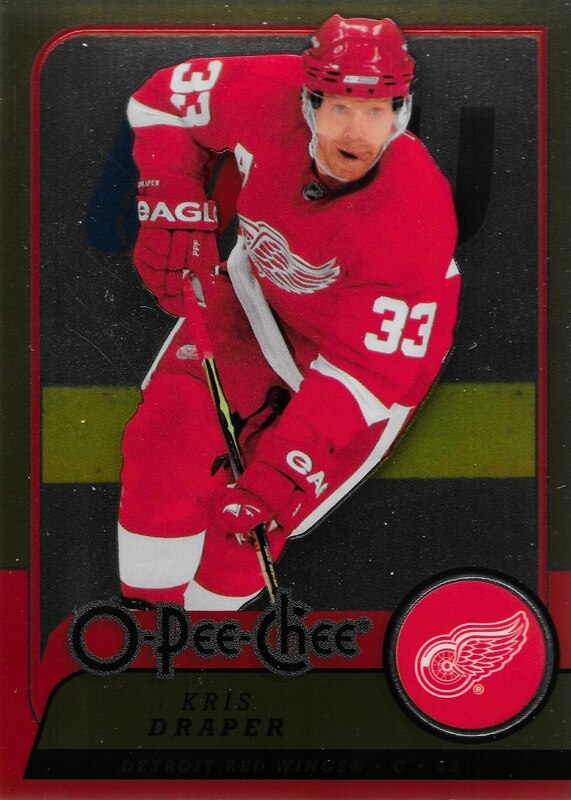 Since I don't have any actual cards for this project as of writing this, below is an example I found on eBay of a 2016-17 Upper Deck Premier card featuring P.K. Subban. As you can see, this shows the gold home jersey and gold helmet without the All Star patch. I like this type of side project because it will give me somewhat of a variety across all the different sets out there, but it will have a nice consistent look. If you've got any extras that would fall into this group let me know and maybe we could work out some kind of trade. I've got tons of extra base cards for all other teams. 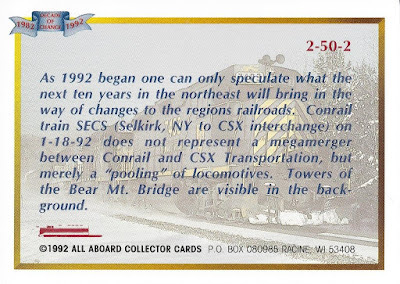 To quote the Predators goal song, "I like it, I love it, I want some more of it..."
It's not every day that I get to combine my two main hobbies into one blog post, but thanks to my latest eBay purchase of a set of railroad collector cards from the now defunct All Aboard Collector cards company, I can do that here today. This is a set of 46 cards released in 1991 that focuses on railroads from the Great Lakes region. It is limited to just 10,000 total sets and I was lucky enough to get two sealed sets for about $5 including shipping. I'm keeping one sealed and I opened the other so I could check out all of the awesome train photos from the past. 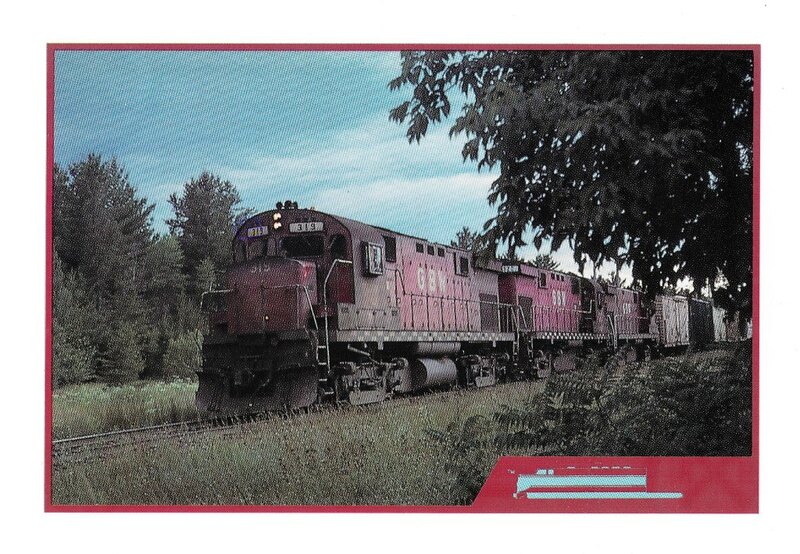 The cards are all horizontal and feature a pretty simple design, which is nice because it keeps the focus on the actual photographs of the trains. 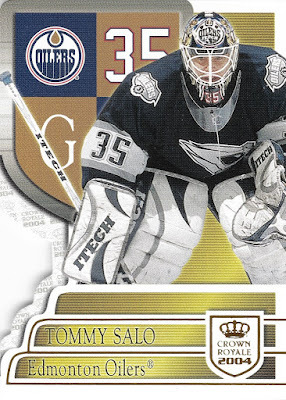 The card stock they are printed on is slightly thinner and flimsier than most of my hockey cards. They're also actually not exactly 2.5" x 3.5" overall, they come in just a tiny bit longer and narrower. 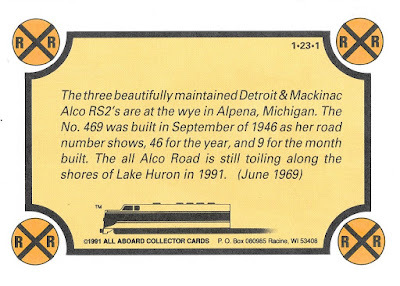 The first card I am going to show depicts my favorite railroad, the Detroit & Mackinac, which was a short line based in north eastern Michigan. 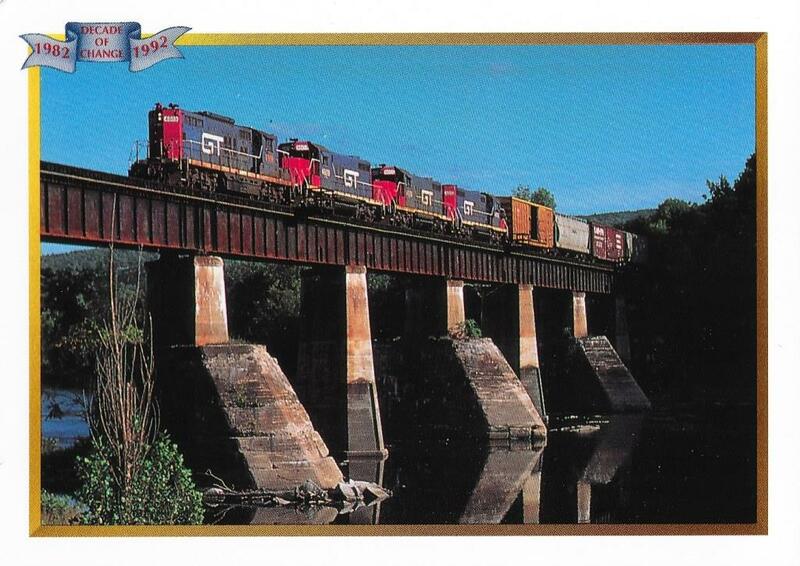 They were sold off in 1992 and became a different railroad, so it's neat to have a card that shows them in their prime. The card backs also pretty simple, but they do have a pretty good write up about the photo on the front. 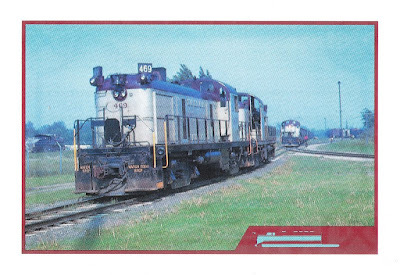 What's neat about the main locomotive in this picture, No. 469, is that I actually have a picture of myself standing on the front of it when I was about five years old. Since all of the backs are the same, I thought I would share some of the cards that stood out to me when sorting through the 46 card set. 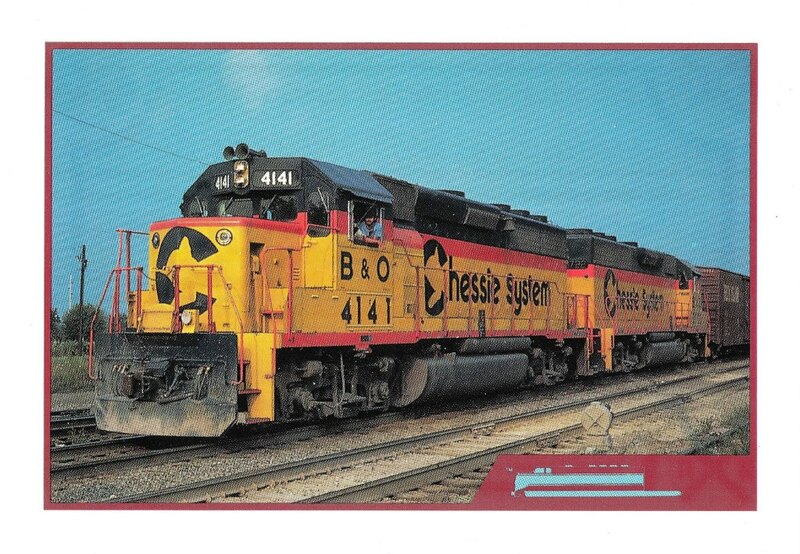 This one features two GP40-2's in the rather colorful Chessie System paint scheme. The next one features two F7A's and a GP9 in the rather bland Penn Central paint scheme. This one stood out because of the dark engines against the bright blue sky, which make for a nice photo. This was taken in Jackson, MI back in May of 1976. Here's another nice looking photo, this time featuring Amtrak's "Empire Builder" train passing through Wisconsin back in May of 1990. 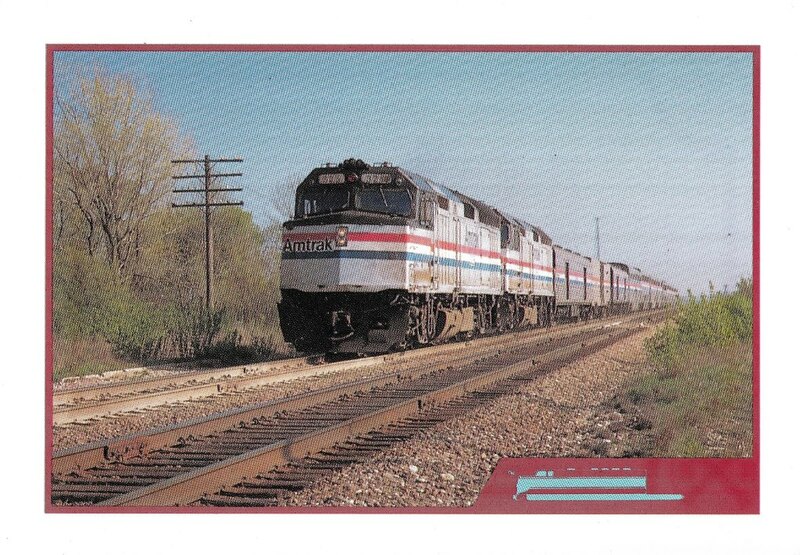 The locomotives shown leading this train are both F40PH's in Amtrak's phase III paint scheme. Up next is a cool shot of DeKalb County Co-Op's Baldwin switcher locomotive shown in Waterloo, Indiana back in July of 1983. What stood out in this picture was the nice green field and flowers shown in the foreground. This next one stood out because of the railroad crossing sign that takes up the right hand side of the photo. These things are usually white so it was interesting to see one in yellow. 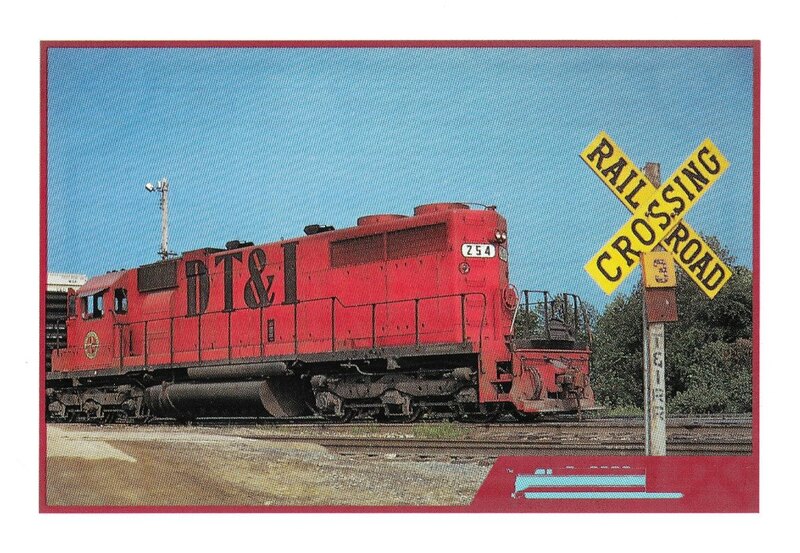 The other thing that caught my eye was the orange DT&I paint scheme on the locomotive. This one is not as flashy, but has a cool scene of several Green Bay & Western locomotives pulling a train through a wooded area. What's nice about this photo is the lack of man-made structures in the background or foreground. 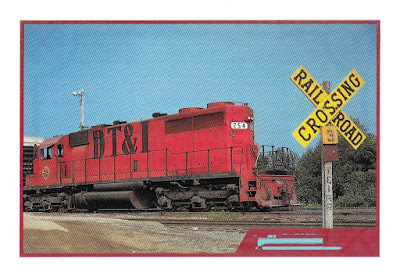 Finally we have this one showing two Soo Line F7A's awaiting their assignment in Manistique, Michigan during August of 1968. 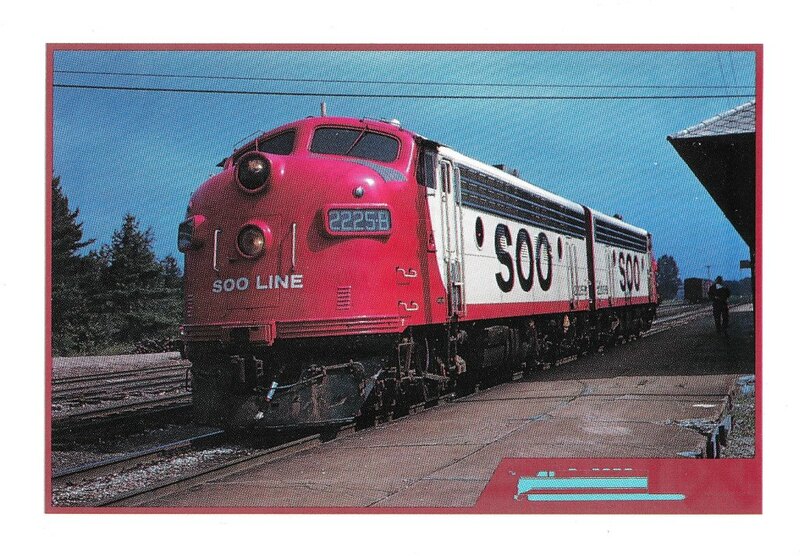 These locomotives always stood out to me with their bright red noses and white bodies with bold black lettering. So there's something you don't see on here every day. What do you guys think? Any other train enthusiasts out there that have seen or already own this set? I think they're great and now I need to get myself a couple copies of the series #2 that was released after this set.